Regulator of the petroleum downstream industry in Ghana, the National Petroleum Authority (NPA) has outdoored the Third Edition of the annual “People Safety First” campaign, aimed at raising awareness for safety protocols in the petroleum sector. In a speech at the Head Office of NPA to lauch the 2019 People Safety First campaign on Tuesday, Chief Executive Officer of NPA, Hassan Tampuli, disclosed that, many accidents recorded within the industry are unavoidable and are often due to negligence on the part of the handlers of the equipment and installations, which usually results in the loss of precious lives. Chief Executive Officer of NPA, Hassan Tampuli. 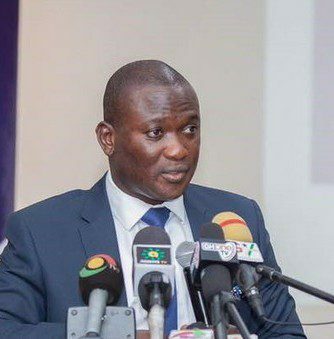 He recounted incidences including the explosions October 7, 2017 which occurred at the MANSCO gas station at Atomic junction in Accra and the Krofrom gas explosion in Kumasi among others, as some of the unfortunate examples the Authority is determined to address. The NPA boss stated that, such incidences have necessitated the rolling out of an intensified Inspection and Monitoring activities by the Authority to ensure Health, Safety, Security and Environment standards are strictly adhered to. He explained that, the Authority will operationalize its Centre of Excellence this year to among others, provide capacity building for various operators in the industry to enhance their skills and knowledge in the safe handling of petroleum products. He bomaoned the situation and said, “the NPA views this trend as worrying and is intensely working to raise awareness on the Television, Radio and various media outlets on safe ways of handling petroleum products to curb injuries and deaths from LPG, Petrol, Premix and other petroleum related fires”. According to him, in line with Cabinet’s decision to implement the Cylinder Recirculation Model, the NPA undertook a risk assessment exercise of all LPG Refilling Plants across the country. The exercise took into consideration the siting, engineering, equipment conditions, safety management systems, staff and facility management, materials and fabrication of the LPG stations. Hassan Tampuli, emphasize that, at the end of the exercise, 510 out of the 659 translating to 77.4% of LPG stations inspected nationwide were classified as high risk stations, 115 medium risk stations and the remaining 34 stations recorded as low risk. This according to the NPA CEO means, “all these high risk stations will subsequently be converted into cylinder distribution centers under the Cylinder Recirculation Model. They will no longer be permitted to fill cylinders or autogas when the CRM fully rolls out. Low risk stations will however be considered for autogas refilling centres only with improved standards”. Deputy Minister of Energy (Finance and Infrastructure), Joseph Cudjoe, has lauded the National Petroleum Authority’s “People Safety First” initiative, admonishing players to conform to safety standards. He stated, “industry players need to take the bold step of adhering to industry safety standards through industry associations and peer review and where necessary expose their peers who are not keeping up with the industry standards”. This he believes, will not only complement the role of our regulators but will embolden them to take decisive disciplinary actions against offending industry players based on industry recommendations. The Safety Campaign was first launched in October 2017 and is intended to raise awareness for the adherence to safety protocols in the petroleum downstream industry, and to educate the public on their role in preventing fires at all petroleum installations and other locations in the country. One of the key activities of the Campaign is the signing of the Safety Declaration Placard by Chief Executives of Oil Marketing Companies at the start of each year which is why you have been invited to demonstrate your commitment to operate safely throughout the year.